The Original Giambattista Valli Haute Couture Fall 2014 Runway Sample (above): As you can see, Giambattista Valli and his Haute Couture team reversed the ombre from light to dark. 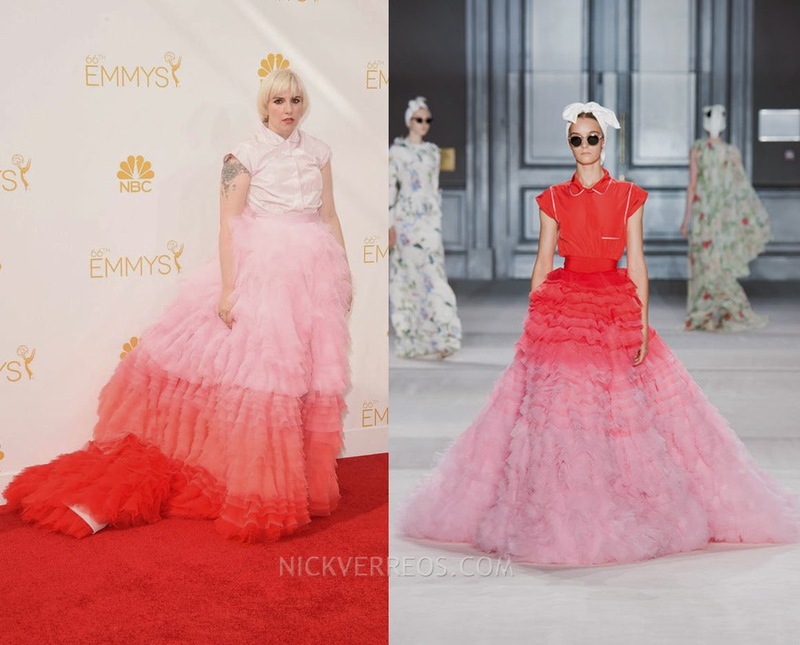 1 Response to "WHO WORE WHAT?.....66th Annual Primetime Emmy Awards: Lena Dunham in Giambattista Valli Couture"
I do like the hair.. 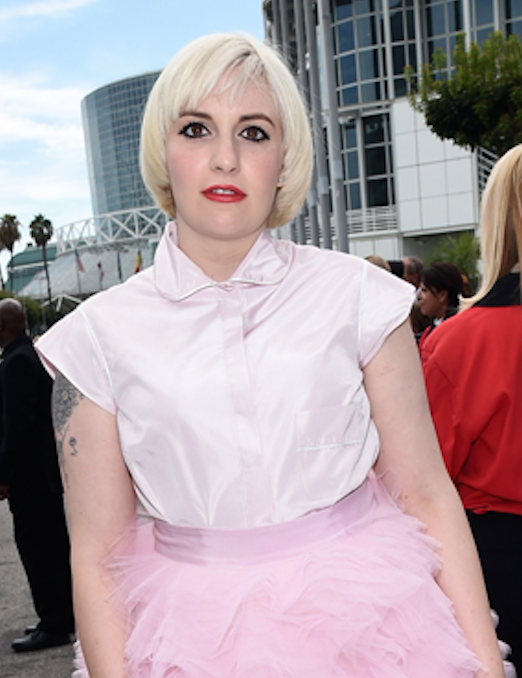 The outfit was unflattering though. Wish she had made a different choice.